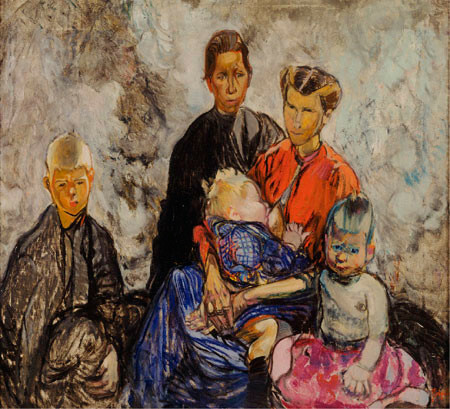 Frances Hodgkins has caught the anxiety and vulnerability of this refugee family, mirroring the situation of many Belgians who, during World War I, made their way to Britain. They were billeted throughout the country, including St Ives in Cornwall, where Hodgkins was living at the time. This is one of Hodgkins' earliest oil paintings and it has some of the hallmarks of her watercolour painting, with blended colours and a loose vigorous style.